1. Heat the oil in a large frying pan and fry the chicken for 5 minutes. Add the curry paste and mushrooms and cook for 2-3 minutes. 2. 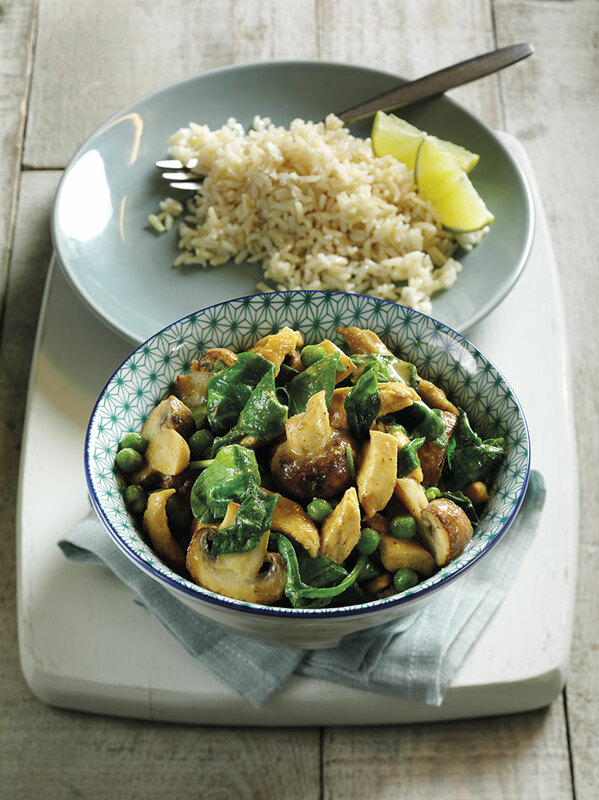 Stir in the coconut milk and peas, bring to a simmer and cook gently for 7-8 minutes. 3. Stir in the spinach and cook until just wilted. Add the lime juice, season to taste and then sprinkle with the coriander. Serve with cooked brown basmati rice. Try using Thai red curry paste instead of green and replace the peas with green beans. This does look delicious, I really enjoy a curry and will try this recipe out, thank you!